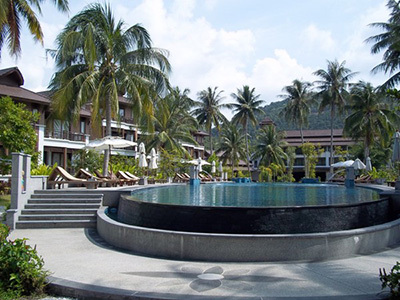 When looking for Mae Haad on the internet it is worth remembering that Mae Haad is also the main port town on the neighbouring island of Koh Tao in Thailand. 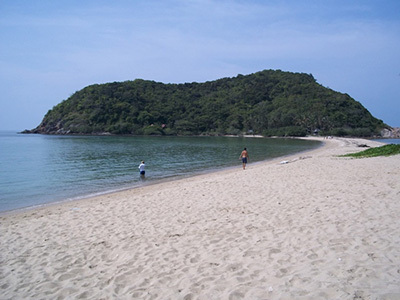 Mae Haad in Koh Phangan is the long beach in the north west of the island. It is a beach that has recently started to attract visitors. As a consequence the beach is slowly developing. At present it is at that perfect point of being still unknown to the mass tourism circuit of Thai beaches, and yet it has enough facilities to make it a comfortable as well as beautiful place to stay. Koh Phangan has always been a more relaxing venue than Koh Samui. However, the party scene in the south around Ban Tai and Haad Rin has attracted a more lively and loud crowd to the paradise island. Many of the beaches have followed the example of Thong Nai Pan in the north and have up-graded so that much of the accommodation is rated 2 or 3 star quality. This has pushed out the backpackers and many of the local cheap bars and restaurants. This has also had a big impact on Koh Phangan. These changes have been going on since the early 2000s. In contrast Mae Haad is a breath of fresh air. It is a stunning white sand beach next to a crystal clear ocean. The majority of the accommodation is still wooden bungalows on stilts in the traditional southern Thai style. There are some cool little bars and cheap restaurants scattered along the beach as well as the couple of roads that make up Mae Haad Village. You can stay at Mae Haad and imagine you are in a time capsule stuck in the late 1990s. There is no rush, no crowds – snorkelling, reading books and lying in hammocks is the order of the day. There are a dozen beautiful beaches in Koh Phangan to choose from. What separates Mae Haad from the others is that it is next to Koh Ma Marine Park. It is the only protected marine area in the coastal waters of Koh Phangan, as a consequence the marine life is undisturbed by commercial activity. There is a wide area under the water full of different types of coral including brain coral. Among these live numerous colourful fish. At low tide a sandbank appears that joins Mae Haad to the small island of Koh Ma. You can walk over to the island which is an overgrown wilderness since Koh Ma Dive Resort shut down. The sandbank creates a picturesque Y shape that makes Mae Haad something special. There is suddenly not only Mae Haad Beach to enjoy but also the Koh Ma sandbank with water on either side. 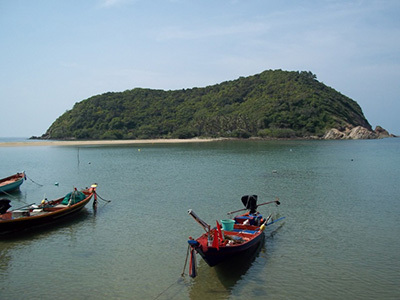 Mae Haad is blessed with stunning natural scenery that makes it similar to the famous Nang Yuan Park in Koh Tao. Mae Haad is the best place to go snorkelling off the coast of Koh Phangan as the corals are easily reached from the shore. Other places like Haad Salad and Haad Yao require you to swim for a distance out to ocean. In the case of Mae Haad you follow the signs on the beach and have to swim no more than 50 meters to get amongst the underwater life. Naturally you have to go farther out to sea and dive in order to see reef sharks, turtles and stingrays. There is a dive school at Wangsai Resort that teaches the full range of PADI courses. They also do fun dives at Koh Ma as well as the other dive spots nearby and in the Gulf of Thailand. The shops sell snorkel kits (they are cheaper in Thongsala). Resorts such as Island View Cabana rent snorkel equipment for 80 Thai Baht an hour. 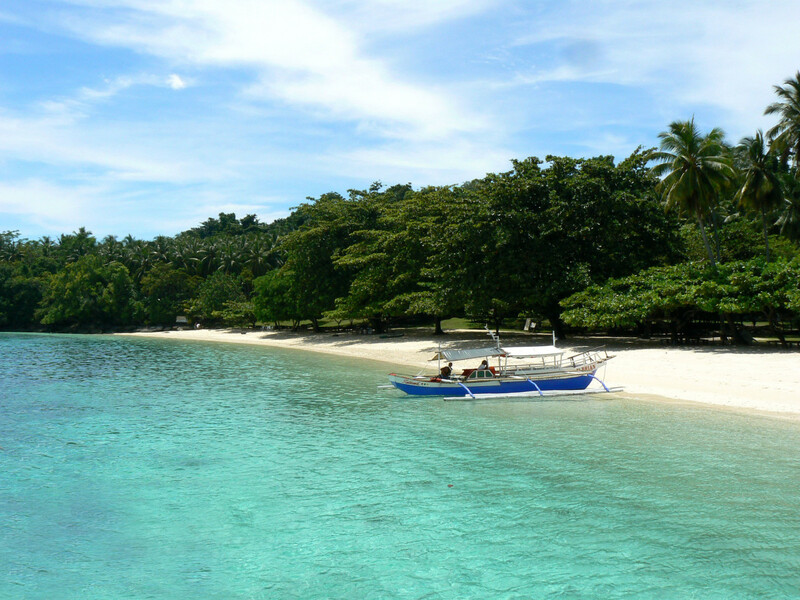 It is great that there is such a great resource as a coral reef near Mae Had Beach. It is also great that the beach has not been over-run by dive shops vying for business. Not only has Mae Haad got some of the most stunning natural scenery in Koh Phangan, it is also one of the best places to see the sun go down. Resorts such as Island View Resort, Mae Haad Bay Resort and Royal Orchid Resort have beachfront restaurants where you can enjoy a cocktail and watch the sky crack into oranges and reds as the sun sets over Koh Ma. Most of the rooms in Mae Haad are in the budget and mid-range category. The cheapest bungalows are found at Mae Haad View Resort (250 THB), Royal Orchid Resort (300 THB), Island View Cabana (390 THB) and Why Not Bungalows (400 THB). These places offer wooden bungalows near the beach with fan and cold water shower. In the mid-range is Wangsai Resort and Mae Haad Guest House. The only luxury option is Mae Haad Bay Resort. For just over 2,000 Thai Baht Mae Haad Bay Resort offers villas with air-con, hot water and satellite TV. The more expensive villas have private pools, Jacuzzis and kitchenettes. All the villas are spread out in an expansive garden next to the beach that features a large oval swimming pool. The resort also features free wifi, fitness room, 2 restaurants, a café and pool bar. The resort is at least 3 star but doesn’t attract too many package tourists, and thus doesn’t impact on the overall hippy feel of the beach. For many the best thing about the accommodation in Mae Haad is that nowhere is particularly busy. Often there are only a couple of other guests staying at your resort. You never have to fight for a place on the sand or wait too long to get served. The lack of people creates a tranquil calm around the beach; it is an atmosphere ideal for rejuvenation. The only time when the beach gets busy is late morning when the island tour boats arrive to take a few people snorkelling at Koh Ma. Most of the resorts have beachfront restaurants that also sell a range of alcoholic and non-alcoholic beverages. Popular places include Wangsai Resort and Island View Cabana. The best place to eat according to Trip Advisor reviews is the small Om Bakery that does sandwiches, cakes and teas. For a Koh Phangan style drink on the beach there is Rolling Stone Bar made from drift wood and local materials. In the village is the small Roots Reggae Bar that has late night drinks, live sports on the TV and of course lots of reggae CDs. Mae Haad has a couple of roads behind the beach that make up the ‘village’ of the area. Here you will find cheap lodging, small Thai restaurants, travel agents, general stores, little bars and the one ATM machine. There are 4 or 5 places offering Thai massage – we recommend Mama’s Massage and Suchada Massage. All the resorts can organise taxis for their guests. Most of the shared taxis leave at about 10am to take people to the ferry piers in Thongsala. There are also plenty of places around to rent a moped for about 250 to 300 Thai Baht a day. Mae Haad is not the best place to self-cater as there is a poor selection of fresh food to buy. You would need your own transport to take you to the markets at Srithanu, Chaloklum or Thongsala to enjoy cooking with a variety of fresh ingredients. Koh Phangan still remains an island without an airport. This seems set to change next year. Until Koh Phangan Airport opens everyone arrives by ferry. Most ferries go to Thongsala. From there it is about 12 kilometres to Mae Haad. Take either of the roads heading north. At the top of the road turn left (west) and follow the signs to Mae Haad. The beach road is only partly paved but presents little hazard for those driving at a sensible speed. It is easy to get a shared taxi to Mae Haad or to rent a moped and head there under your own steam. The beach is self-contained in terms of amenities but is also close to the bigger beaches of Chaloklum, Haad Salad and Haad Yao all of which have more shops, bars, restaurants and other facilities. If you stay in a cheaper bungalow and eat at the cheaper places and don’t hire a moped or buy lots of beer you can budget on spending between $40 and $60 a day. Naturally a villa at Mae Haad Bay Resort will drive up costs to at least $150 a night. Thailand is not as cheap as it used to be. 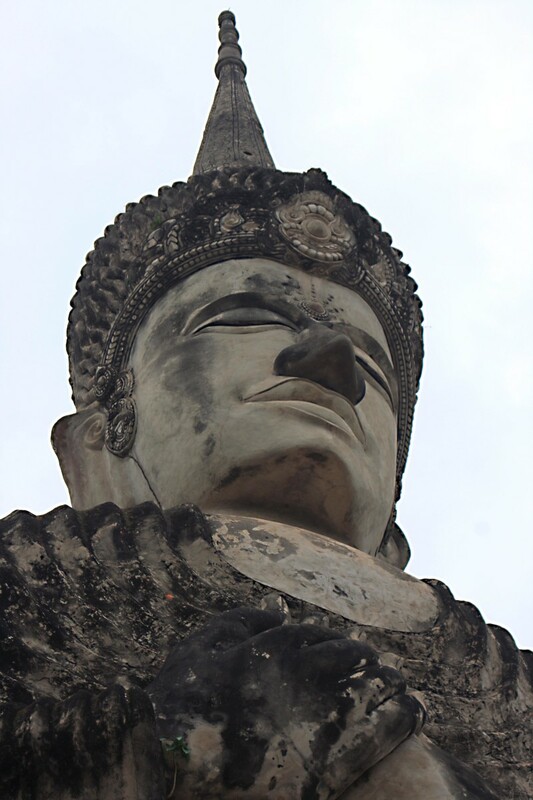 There has been lots of inflation that has accompanied the recent economic upturn in the Thai economy. However, there are still bargains to be found if you look hard enough. Koh Phangan is blessed with great weather all-year round. The only exception is the rainy season which runs from early November to early December. The high seasons are January and August. The peak season is Christmas and New Year. For those who like sunshine, low season prices and empty beaches try March and April. Mae Haad as with all the beaches on the west coast have seasonal tidal variations. The high tides (when it is best for swimming) are between November and April. The obsession nowadays with travellers is with booking in advance. There are 5 resorts that take online bookings for rooms at Mae Haad. There are just as many that don’t. Online booking is good for getting cheaper hotel rooms, but is more expensive for budget places. If you want a cheap wooden bungalow then just turn up and ask at a few resorts. Be sure to look at the rooms before making a decision as some might too basic and rustic for your preference. 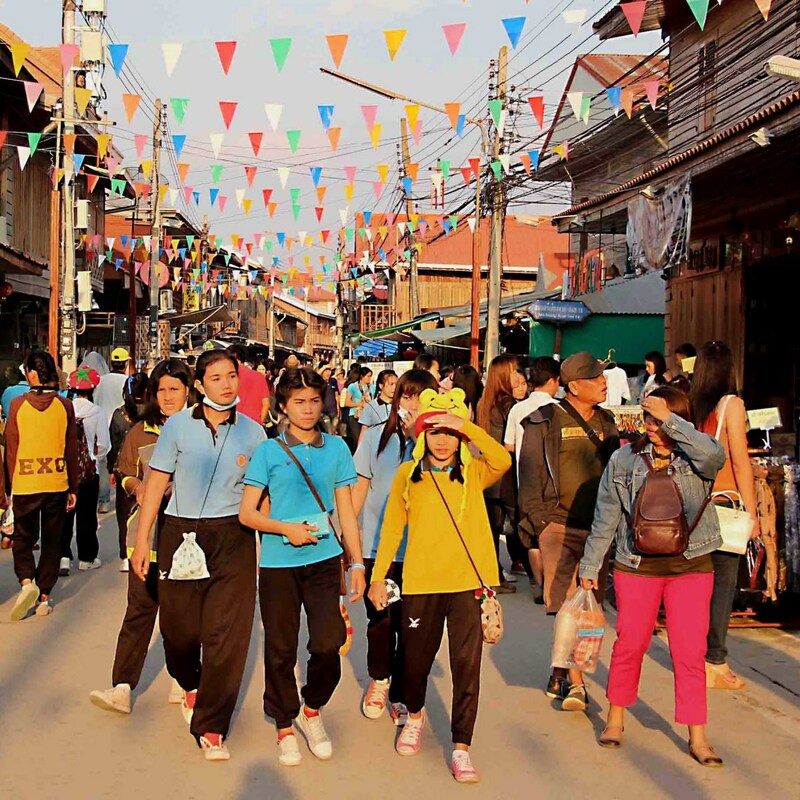 Whether you book or not, it is worth doing more research on Mae Haad before arriving. I suggest having a quick look at Mae Haad Guide. It gives an overview of all things connected to the beach and surrounding area. Mae Haad is a perfect beach for those who have been to Thailand before and who are looking for a cheap beach bungalow on a quiet beach. It is one of the most beautiful spots in Koh Phangan, great for those who just want to relax. And if that all gets too much it is only 30 minutes to get to the Full Moon Party for drunken mayhem. Haad Salad is a popular beach in the north west of the Thai island called Koh Phangan in the Gulf of Thailand. Below is a brief guide to the beach.